On a day to day basis most Canadians will cook dishes that are standard fare in most western countries. Canadians as a group have also embraced various international cuisines that can be found on the menus of Canada’s many restaurants. However a large portion of Canadians are unable to name a single Canadian dish. Here are the top four mouth watering dishes that every Canadian should try. Pâté chinois translates roughly as “Chinese pie”, although the recipe is definitely Canadian and has no Chinese origins. 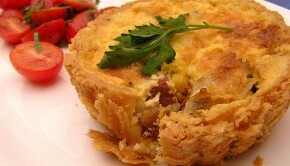 Essentially pâté chinois is a savory pie dish, that many claim shares similarities with the English cottage pie. Pâté chinois consists of multiple layers of varying ingredients. Traditionally the first layer comprises of local meats, while the second layer of creamed corn is then poured over the ground meat. The third and last layer which comprises the top of the dish is made out of mashed potatoes. This hearty dish is the perfect meal for a cold winter’s day. If you’re a fan of seafood why not treat yourself to a succulent lobster chowder? Canadian’s as a group share a love of fresh seafood and there is no better treat than lobster. If you enjoy lobster, but aren’t quite sure how to prepare it, you’ll find that lobster chowder is a simple and easy to prepare dish. If you don’t fancy yourself as a chef, then why not take a night off cooking and visit one of Canada’s esteemed seafood restaurants? If you’re brave enough to try and cook this dish yourself don’t be afraid to personalize your chowder. Most traditional Canadian recipes will call for cream, onions and potatoes but feel free to add your favorite spices and seasonal vegetables. Although it’s a rather basic dish, poutine is probably the most well known Canadian dish. Poutine simply consists of a base of hot chips or French fries topped with cheese and gravy. 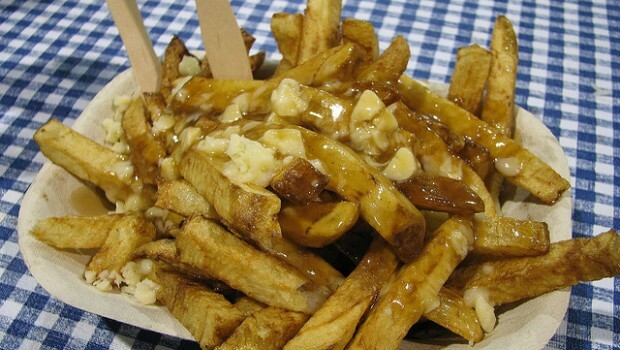 If you want to try authentic poutine, head to your local Canadian diner or fast food truck. Some takeaway chain restaurants also offer poutine dishes, but they pale in comparison to the poutine you can find at small local diners. The humble Canadian butter tart is one of Canada’s best loved desserts. In fact it’s estimated that the recipe for this delectable dessert was written in 1915, so this dish definitely qualifies as traditional Canadian fare. The ingredients for the filling of a Canadian butter tart normally include cream, eggs, sugar, vanilla extract and either walnuts or pecan. If you serve this dish to your friends and family, it’s wise to warn them first in case they have a nut allergy. As nut allergies are commonplace these days. There’s no excuse for being Canadian and not having tried a Canadian dish. So why not track down a recipe for a traditional lobster chowder or pâté chinois? Or if you don’t feel like cooking simply visit your local diner and ask for a serving of poutine. All four of these dishes will make you feel proud to be a Canadian. Mmmm what great Canadian dishes! I haven’t tried the pate chinioise yet though, but it certainly does sound delicious. My favorite out of the 3 is the lobster chowder. How can you go wrong with that?